In its most severe form, there is a sudden onset of watery diarrhea that can lead to death by severe dehydration. It has a very short incubation period ranging from two hours to five days which can result in an explosive outbreak pattern. 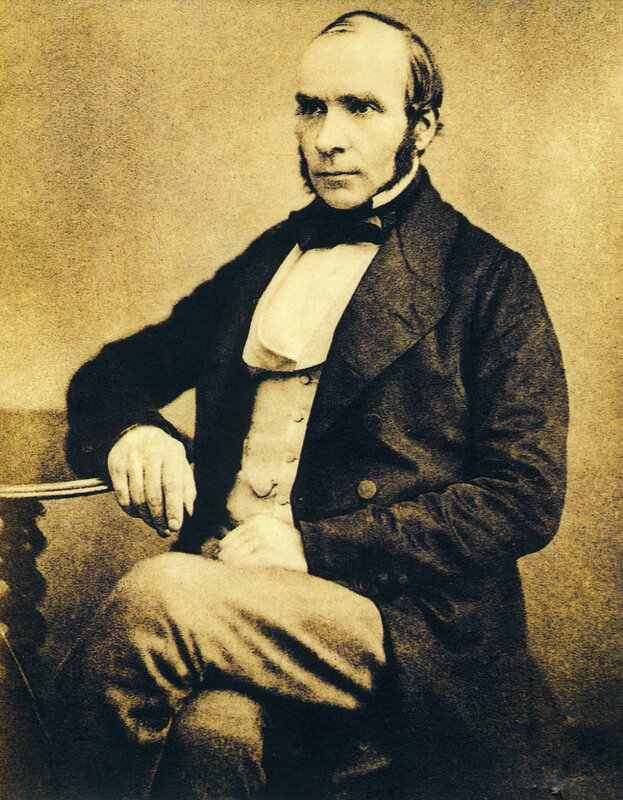 Dr. John Snow (1813 - 1858) was an English Physician who is considered to be the founder of modern epidemiology. He is best known for tracing the source of a deadly cholera outbreak to a contaminated water well on Broad Street in Soho, London in 1854. 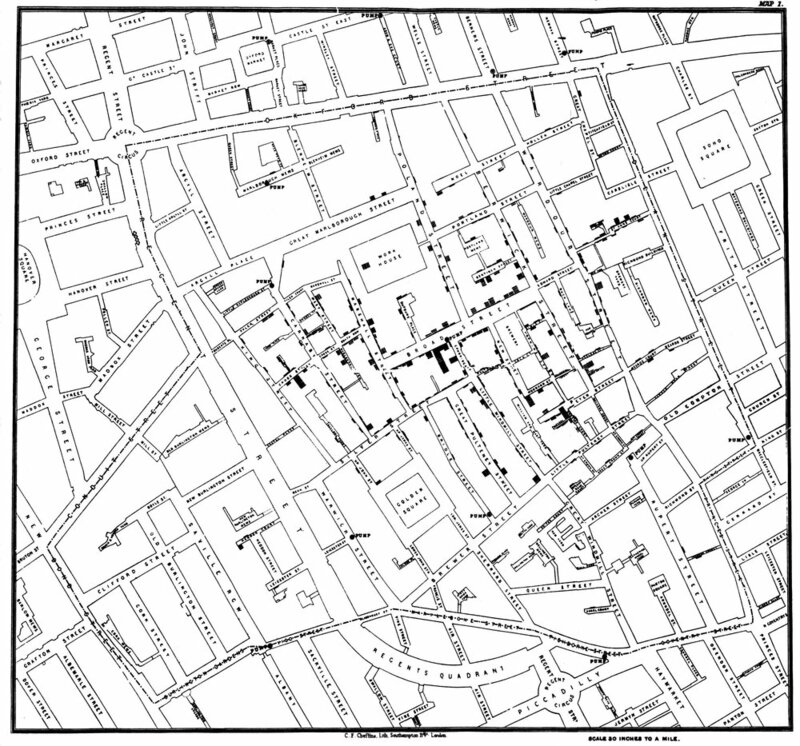 This tutorial will teach you how to re-create John Snow's famous cholera map using Google Fusion Tables. In 1854, London was a city with close to 2.5 million residents. Extreme poverty combined with a lack of sanitation infrastructure such as clean water and sewage systems made it the perfect environment for an outbreak of disease. As such, the city suffered many outbreaks over the course of its history. Leading up to the Summer of 1854, it had several large cholera outbreaks resulting in the deaths of tens of thousands of people. What makes the 1854 cholera outbreak in the Soho neighborhood of London's West End so important is that. You will learn about the major players involved while learning to use Fusion Tables to map the epidemic. This lesson will teach you about the data format and how to load it into Fusion Tables. This lesson will teach how to visualize your data once it has been loaded into Fusion Tables. The John Snow Society - London, United Kingdom-based organization promoting the life and works of Dr. John Snow as well as providing a communication network for epidemiologists and others trained in his methodology around the world. On the Mode of Communication of Cholera - Dr. John Snow's original work hosted by the University of California at Los Angeles' Fielding School of Public Health. This is part of a larger site featuring an in-depth analysis by Dr. Ralph R. Frerichs of Dr. Snow's approach to tackling the outbreak highlighting other people, organizations and institutions involved. London School of Hygiene and Tropical Medicine - Brief overview of Dr. Snow's life featuring a podcast dedicated to his work and legacy at the time of the 150th anniversary of his birth. Dr. John Snow, age 44, taken the year before his death in 1857. World Health Organization (WHO) - Cholera page featuring up-to-date information on cholera outbreaks around the world as well as information on symptoms, diagnosis, treatment and vaccines. United States Centers for Disease Control and Prevention (CDC) - Cholera page with a global map highlighting countries with recent cholera outbreaks of as well as resources for outbreak response, training, and health promotion.